Here at Sage Outdoor Adventures, we are extremely proud to announce that we now have access to the famed Piney River near Vail for guided fly fishing trips! Sage is opening up new private water for the first time ever. 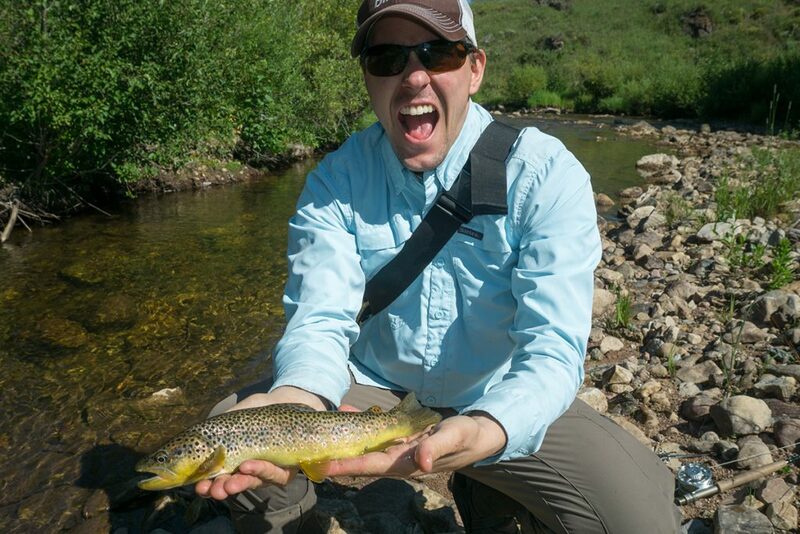 We are now the sole fly fishing outfitter on the Piney Valley Ranch. Sage Outdoor Adventures now leases the exclusive fishing rights to this pristine stretch of private water and will begin offering guided fishing trips this summer! The Piney River is a classic, Colorado backcountry gem. With its headwaters at Piney Lake at the foot of the rugged Gore Range, this freestone river tumbles through a roadless wilderness canyon for 25 miles until its confluence with the Colorado River. 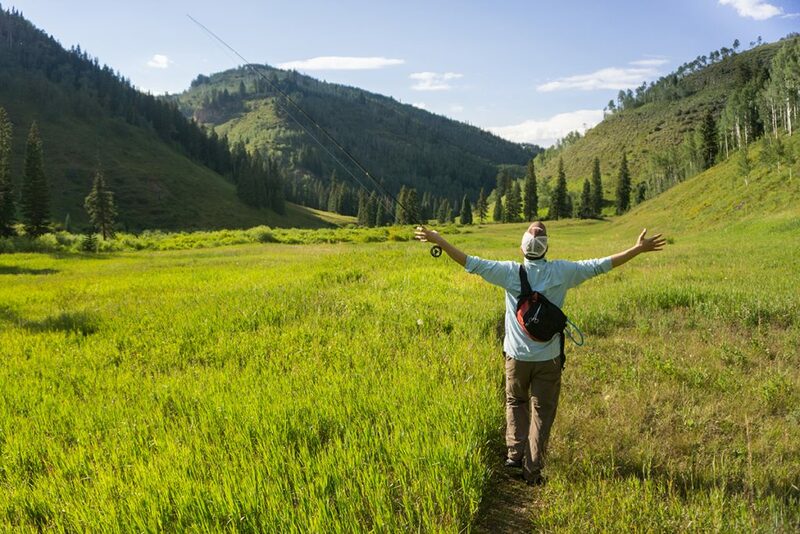 As the Piney River approaches its confluence with the Colorado, it flows right through the heart of Piney Valley Ranch, a sprawling, 30,000-acre mountain paradise. Our guests will have exclusive private access to a stretch of water has never been available to the public. 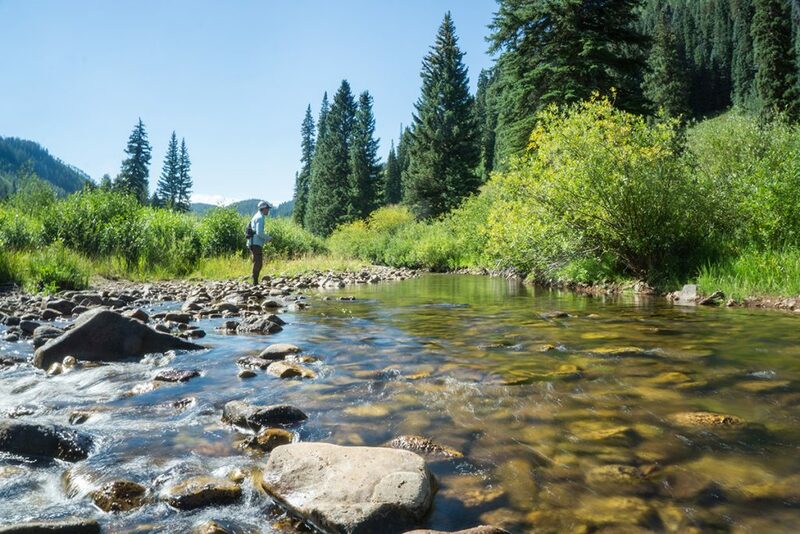 The team at Sage Outdoor Adventures was able to secure this premier fishing lease thanks to a longstanding relationship with the owners of Piney Valley Ranch, who previously owned Castle Peak Ranch. 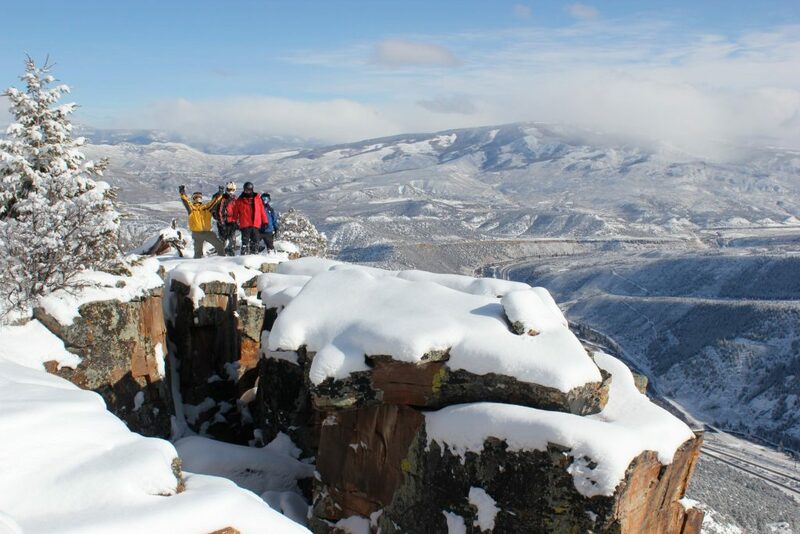 Castle Peak is where we offer ATV tours, snowmobiling, horseback riding and sporting clays. There were several reputable fly fishing businesses knocking on the door for the Piney River lease. But after seven years of working together at Castle Peak, and knowing first-hand the quality of Sage operations, the owners chose to sign with Sage. Starting this summer, we will offer full-day trips to this remote, private stretch of the Piney River. Trips will include side-by-side ATVs to navigate the ranch, high-end fly fishing gear, and a gourmet lunch. Like all of our adventures, transportation to and from Vail and Beaver creek is also included. The ranch will be limited to very few fishing guests each day to maintain a high quality experience. As with everything we do, we place a high priority on the quality of the fishing, the undisturbed wilderness experience, and the quality of guest service. In addition to the incredible Piney River fishery, Sage guests will have access to two private lakes on the Piney Valley Ranch. These lakes offer the perfect location for a day of fishing, canoeing, hiking and experiencing the scenic Colorado backcountry with family or friends. Just minutes from the Vail Valley, these mountain lake getaways are also well suited to corporate events and other groups. The exclusive fishing lease on the Piney Valley Ranch also includes a premier section of private water on the Eagle River. This will allow us to offer premium half-day trips just a few minutes from Vail and Beaver Creek. In addition to these new private waters, Sage Outdoor Adventures will continue to offer guided float trips on the Eagle and Colorado Rivers. If you’d like to learn more, please visit our Fly Fishing Page. If you’d like to chat with us in more detail or check availability, you can call us at 970-476-3700 or contact us online. Take it from your favorite paddle junkies. We’ve had the opportunity to explore rivers all over our home state. Colorado is home to some incredible rafting adventures. If you haven’t had the opportunity to explore many of them, let us fill you in. Our state’s namesake river, the Colorado River offers a number of great stretches that can be done in a day. From the mouth of Gore Canyon, all the way down into Glenwood canyon, there are a number of day-trip sections suitable for a wide range of abilities. The Eagle River also offers some outstanding day-trip stretches. Check out the upper Eagle from Minturn to Edwards and the lower Eagle River from Wolcott to the town of Eagle. Another Norwest Colorado favorite of ours is the Roaring Fork, particularly the Slaughterhouse section. The Yampa River offers visitors the chance to experience a 5-day wilderness trip. The scenery will leave you dumbfounded, and then you add in the class III and IV whitewater, and this one is a winner. The Animas River is a great one near Durango that offers excellent day trips. The Animas has everything from family friendly trips to difficult whitewater. The San Juan River is unique in that visitors can experience an extended, 7-day wilderness adventure. 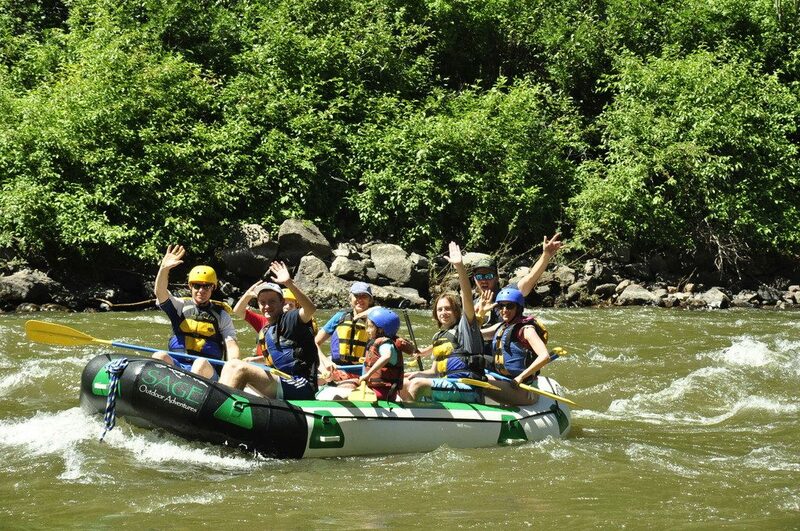 With no difficult rapids, it’s great for families with young children. You will feel like you are the first person to ever be there. The Dolores River also offers overnighters, from 3-day to 7-day wilderness trips. The Dolores travels through different micro-climates, starting in the mountains with tall ponderosa pines, and then turning into a classic desert canyon trip near the Utah border. The Arkansas River is the undisputed Jewel of southeast Colorado and perhaps some of the most famous whitewater in the state. Well known sections of the Arkansas include Pine Creek, Numbers, Browns Canyon, Bighorn Sheep Canyon and the Royal Gorge. With great day trips that are easy to reach from the front range, it’s easy to see why rafting trips on the Ark are so popular. The Poudre Canyon is a Front Range favorite. This Wild & Scenic river is home to day trips just outside Fort Collins, Colorado on class III sections of the lower Poudre. The North Platte River is a hidden gem in Colorado. But don’t let its sleepy status fool you. The Wild & Scenic North Platte offers some awesome multi-day wilderness trips that cross from Colorado up into Wyoming. Clear Creek is a popular paddling playground that’s close to Denver and the Front Range metro area. Visitors here can enjoy day trips on several different sections of Clear Creek. 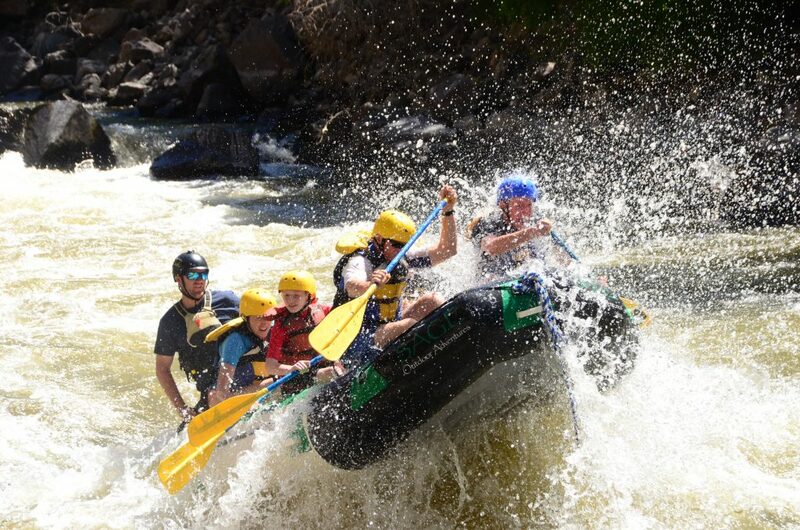 If you’d like to learn more about the awesome Colorado rafting trips that we offer here at Sage Outdoor Adventures, please check out our Rafting Page. You can also contact us online or simply give us a call at 970-476-3700. Today’s snowmobiles offer an experience that surprises many of our guests. Gone are the days of loud engines and the smell of exhaust. Ever since the pressure on snowmobile manufacturers to clean up emissions in places like Yellowstone National Park, the industry has responded with some incredible new technology. In addition to being cleaner, the new era of snowmobiles create the opportunity for wilderness experiences like never before. Here at Sage Outdoor Adventures, we use all Ski-Doo snowmobiles. Most of our sleds are the Ski-Doo Grand Touring Sport, an incredibly fuel-efficient four-stroke machine. They are so quiet that you’re more likely to hear the tracks turning on the snow than the engine itself. With extremely low emissions and no odor, there’s little else to distract from the beautiful mountain experience. In fact, the number one reason among guests to go snowmobiling is the wilderness experience. Today’s snowmobiles are much lighter with more horsepower than ever before. Improvements in clutching, throttle control and suspensions offer an effortless riding experience, even in deep powder. What all that technology really means is that it’s an incredibly fun ride while maintaining a wonderful outdoor experience. We’re proud to be a Ski-Doo direct dealer, which means we receive sleds and parts directly from the factory and we have factory-trained mechanics. Our snowmobiles are on a two-year rotation, keeping our guests on the best snowmobiles available. In addition to the two-person sleds, we also have some single-rider Ski-Doo Renegades. And for advanced rides, we use the Summit SP, an extremely advanced two-stroke engine that offers incredible horsepower and a chasse with unmatched agility on the snow. We have certainly benefitted from the improvements in snowmobile technology over the past 15 years. These radical changes are shaping the sport in exciting new ways and we enjoy being a part of the sport as it explodes in popularity. 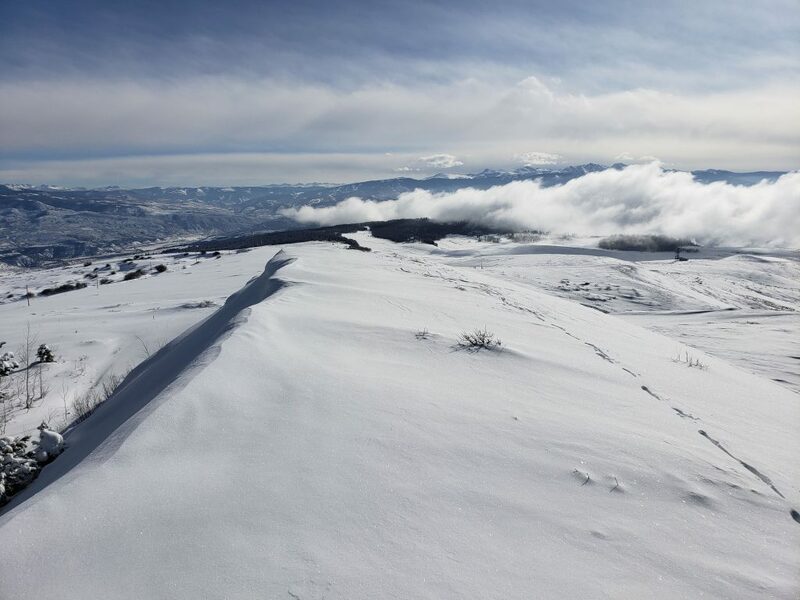 For more information on our tours, check out the Snowmobiling Page on our website or give us a call at 970-476-3700.